Stunning Vizcaya dress style 89047 features a sweetheart neckline and a fitted bodice that is embellished with beautiful hand sewn beads. Style 89047 showcases a tulle skirt with an overlay that is adorned with scattered lace and sequins. 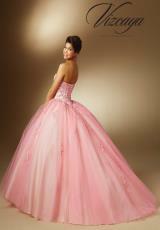 Perfect your quinceanera or sweet sixteen. 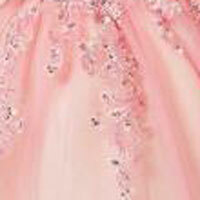 Shop for more Vizcaya dresses at Prom Dress Shop.